Benali will be performing an older music project of hers- Al Palna- where she sings Sufi texts to the tunes of Indian music, using a sitar and Indian drums. 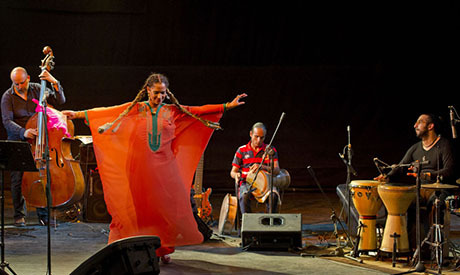 Al Palna project, which Benali constantly revisits in collaborations with different musicians, will be played for the first time live in Egypt, reviving some of her top hits including Hayamtny and Dama Daiman. The singer has performed in Egypt several times, the latest of which was also at The Music Tent in November 2014. Benali, who was born in Belgium but grew up in the Tunisian town of Zarzis, is known for amalgamating musical influences and traditions from the East and West, such as her fusion of elements from Arabic classical styles with jazz and Indian music.